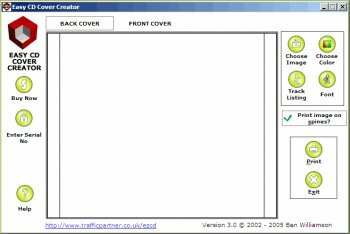 Easy CD Cover Creator allows you to design and print your CD covers quickly and easily. Simple-to-use software, with a help file for your reference. You can load cover art (a scanned image or digital photograph for example) and Easy CD Cover Creator will automatically resize it for you. Enjoyed this program when I was XP.